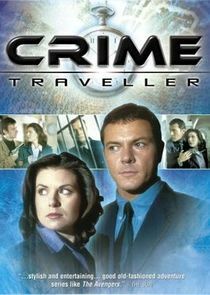 Crime Traveller was a sci-fi crime drama that aired on BBC 1 in 1997. Sleuths come and go, working on intuition, luck and clues, but Slade and his science officer colleague, Holly, are armed with something extra in their fight against crime - their very own time machine. Holly is now in charge of the Professor's extraordinary legacy, which is kept hidden in her apartment. When Slade, a charming maverick detective discovers the Time Machine's existence, he convinces Holly to use it to solve major crimes. The scene is set for a rollercoaster ride, through the present and the past.